What is the SWLU Patient Participation Group? The Patient Participation Group (PPG) provides a forum for people who have experienced our services to meet with the members of the Hepatology team to give feedback, so that the patients' voice is heard and contrbutes to the development of our services and research priorities. Your experiences matter and your feedback is helpful to inform us what we are doing well and what we are not, so that we can continually improve our service. Furthermore, many of you have other skills that can contribute to our service and community e.g. developing and running a patient support group, reading and vetting our patient information leaflets, art and design work or helping to develop our business plans. The SWLU is also active in clinical research and there are opportunities to become involved in the design and delivery of these studies. How often does the Patient Participation Group meet? What is the virtual group? The virtual group is part of the Patient Participation Group that enables people who are unable to attend meetings to also contribute. Information such as practice newsletters, minutes of the Patient Participation Group meetings and surveys will be shared electronically. Patients who wish to give their view or participate may then contact us via email or telephone. 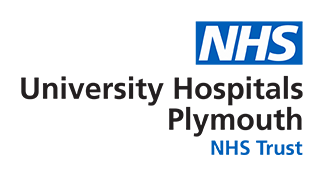 We have also made a South West Liver Unit Facebook page to provide a forum to share information. If you wish to join the Patient Participation Group, please email (jaynedavies1@nhs.net) or telephone (01752 431962 / 07876 493615) and provide us with your name, address, email address and telephone number. If you wish to be removed from our registry please contact us. Some of our members have developed a support group called Friends of liver Lifeline, which is to provide support for patients and carers in the South West. They meet on the last Thursday of the month at Derriford Lesiure Center at 6pm. They have their own web page Friends of Liver Lifeline and can be contacted through their Facebook page Friends of Liver Life line group or on the telephone 01752 934942.